The research, which was conducted by a team of scientists at St. George’s University of London, found the two most common cannabinoids in marijuana, tetrahydrocannabinol (THC) and cannabidiol (CBD), weakened the ferocity of cancer cells and made them more susceptible to radiation treatment. The study, which was published last year in the medical journal Molecular Cancer Therapies, details the “dramatic reductions” in fatal variations of brain cancer when these specific cannabinoids were used in conjunction with radiation therapy. 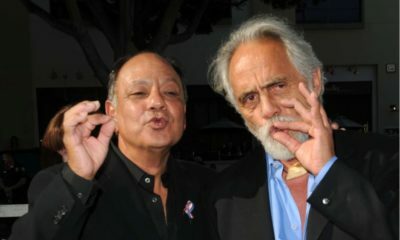 While it is not uncommon for research to surface unveiling the truth surrounding marijuana and its high-powered chemistry for treating a wealth of debilitating health conditions, it is, however, a bizarre and extremely rare occurrence for the federal government to get behind any of these claims. Yet, in an updated synopsis on the potency of marijuana as medicine, Uncle Sam’s leading drug addiction watchdog indicated that it might be changing its opinion of marijuana and how the substance can be used to maximize human vitality and strengthen the realm of overall public health. This is an interesting statement considering that marijuana remains listed as a Schedule I dangerous drug under the Controlled Substances Act, but it may suggest that reform of federal pot laws is on the horizon. NIDA’s newfound pro-pot position is especially curious on the heels of a recent proposal introduced to both Congress and the House of Representatives in an attempt to legalize medical marijuana on a national level. The bill, which is called the CARERS Act, seeks to downgrade the Schedule I status of marijuana to a Schedule II in order to make the herb more flexible in the eyes of the federal government as an accepted form of medicine. In addition, the bill would also remove cannabidiol, the non-intoxicating compound of the pot plant, from the Controlled Substances Act and allow it to be distributed on a state-to-state basis without violating federal statutes. However, the truly disheartening aspect of the national medical marijuana debate is that while a legion of lawmakers push to reschedule the plant and leading federal health officials are coming forward in support of the herb as medicine, the process of rescheduling the substance is one that the Obama Administration has the authority to initiate at any time. Earlier this year, U.S. Surgeon General Vivek Murthy announced on national television that “marijuana can be helpful” in the treatment of various medical conditions. Yet, Attorney General Eric Holder has done nothing to force a change to pot policies, leading us to suspect the latest “cannabis kills cancer” revelation by NIDA will unfortunately engender similar results.